KTT-246-L1 - Kentex Machinery Industry Co., Ltd. Description: 24" & 20" " low step thru. " 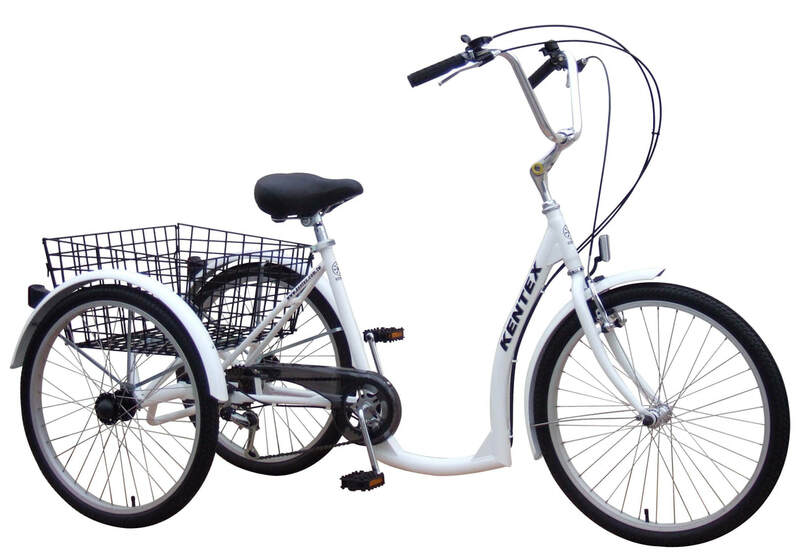 tricycle, round tube, easy to get on/off , 6-speed.